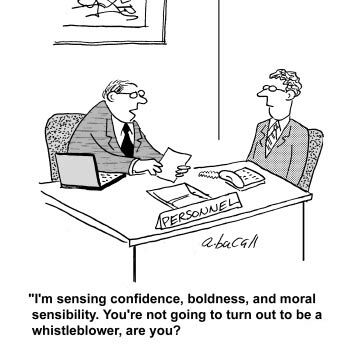 Whistleblowers: Heroes/True Patriots or Enemies of the State/Corporations? Before you try to answer the question posed in the title, let’s look at some history and imagine what our world would be like without people who were guided by their conscience and integrity instead of their corporate/political masters. Samuel Shaw: In 1777 he blew the whistle on the torture of British POWs by the commander in chief of the Continental Navy, Commodore Esek Hopkins. Our Continental Congress enacted the “Whistleblowing Protection Law” on July 30, 1778, and also declared that the United States would defend him against a libel lawsuit filed against him by Hopkins. Smedly Butler: I wrote about this guy a few issues back. If it weren’t for him we would be living in a different world, although I’m starting to wonder the more things unfold. He reported to the U.S. House of Representatives in 1933 about a group of people who were planning a well-orchestrated coup d’état against the United States. The reason I’m wondering is that this was known as the Business Plan, and the banks that were involved are the very banks that control our finances today, and the people involved included Prescott Bush—you know, the father and grandfather of two of our presidents. Peter Buxtun: He blew the whistle in 1966 on the Tuskegee syphilis experiment. Daniel Ellsberg: He leaked the Pentagon Papers to the New York Times in 1971, which revealed, among other things, the deceptive practices of the administration regarding the war in Vietnam, which now is a matter of record. Frank Serpico: He reported to the Knapp Commission on the widespread corruption of New York police officers in1971. Michael Ruppert: He reported in 1995 that the CIA was complicit in the smuggling of drugs into our country. He spent the rest of his life uncovering conspiracy after conspiracy, only to get so depressed and frustrated with life that he committed suicide. Jeffrey Wigand: If it weren’t for his blowing the whistle on Brown & Williamson, cigarette smokers would still be smoking “illegally” ammoniated cigarettes, making it possible for the nicotine to pass the blood/brain barrier, thereby increasing the addictive qualities. The list of whistleblowers who were marginalized, sued, and thrown in prison only to be exonerated many years later would fill a book, and has. So when we hear about the “Most Dangerous Man on the Planet,” as President Obama calls Edward Snowden, should we forget the lessons of history and rush to judgment on a person who has given up everything to keep his integrity? Then there are people such as Bradley Manning, who leaked diplomatic information that includes the now-famous video of a U.S. Apache helicopter firing on a group of civilians. 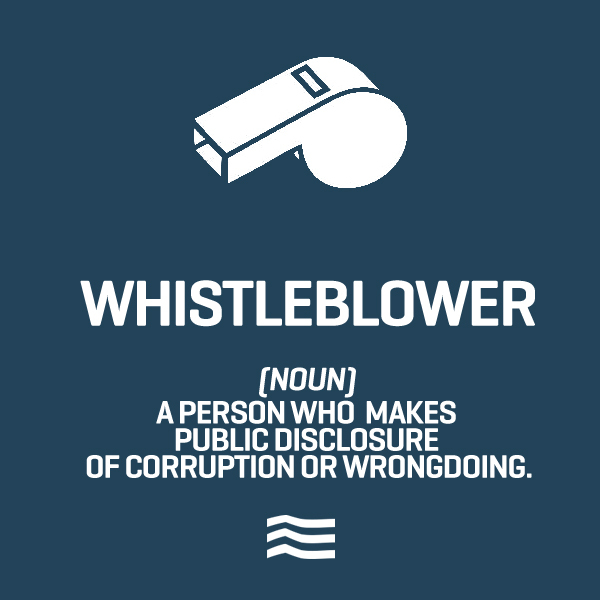 The backlash from this and other recent whistleblowers has had serious repercussions on our government, which means that they also affect our lives. 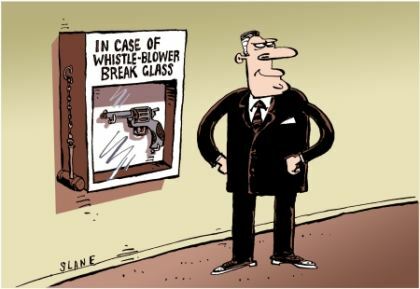 But what are the repercussions if we continue to ignore today’s whistleblowers and basically “kill the messenger” and ignore the message, which, by the way, is the whole point? And dare I even mention Julian Assange and WikiLeaks and the relentless retaliation he’s gone through? Ask yourself this: “How many bankers, Wall Street executives, corporate CEOs, mortgage lenders, or politicians have gone to jail lately over criminal activity?” We do have people such as Bernie Madoff who went to jail, but only because he swindled the wrong people, the “1 Percenters.” The only people who really went to jail or suffered some sort of retaliation were the whistleblowers; in fact, the perpetrators of these crimes received billions of dollars in bonuses as they disappeared into the sunset or took high-level government positions, where they now have even more power and control. All of this happens right in front of us and so many people simply can’t see it (read my article in the last issue on cognitive dissonance and also look up “inattentional blindness” to understand more). I recently researched William W. Thompson, who made statements that forced the Centers for Disease Control and Prevention (CDC) to admit that it withheld data linking vaccines to higher rates of autism. I was told months ago by two local doctors and several medical professionals to stay away from the subject of vaccines because I would suffer the wrath of powerful organizations and medical groups. If you’ve been following my articles, you know that I wrote on this very subject anyway. Now, here we are with the evidence coming out from high-level officials, doctors, and researchers that this is a very serious situation and needs to be completely transparent so the public can make “informed” decisions for their children. Most of you by now at least question GMO foods and labeling but I still see more people buying traditionally processed GMO foods than are at the Farmers Markets buying non-GMO foods and at the same time supporting our local farmers. So much of our produce now comes from China—you know, the country where the fish farmers will not let their children eat the fish, such as tilapia, that they raise and who send it to us instead, the country where more than 70 percent of the rivers are polluted from industrial, chemical, and textile plants. How can an intelligent person think that he or she is eating safe foods grown in China? If you are still reading this article, by this time you have probably had enough but I will leave you with this: The next time you go to buy that $5 shirt or that really cheap pair of shoes, go home and watch The Real Cost documentary about the fact that the fashion industry is the second-largest polluter on the planet, the oil industry being number one. We all need to wake up and change the way we think about our lives and what’s important and remember that with every dollar we spend we are voting. And don’t get bogged down with one issue because the problem is a systemic problem from top to bottom. If we don’t take immediate action to change ourselves, our community, and the world we live in, we will lose control of our destiny as a human race because life will go on … with or without us. Please keep in mind that it is always my intention not to tell you what to think; my intention is to get you to think for yourself so you can make the really important decisions that will affect your life and your children.